Our state-of-the-art facility is enhanced with the latest dental equipment and products. In addition to being an all-digital office, Orchid Family Dental provides Dental Services in Richardson Texas and many amenities that will guarantee a comfortable and stress-free environment. Our office has free high-speed WIFI for all your mobile devices and we even loan out IPADs for those looking to surf the web or use one of our many pre-loaded apps. We also provide minimal appointment wait times and a variety of refreshments including Keurig brewing systems for coffee & tea, snacks and bottled water. During appointments, the patient will have their own Flat-screen TV equipped with Netflix and personal bluetooth headphones. Dr. Jacob and her staff will go out of their way to make sure you have an exceptional experience so you will not hesitate the next time you have to see the dentist! After years of working at many successful dental practices in the DFW Metroplex, Dr. Tiffany Jacob can finally plant her roots at ORCHID Family Dental! Her experience has taught her to perform dentistry the way it should be- relaxing, personable, affordable and with detail to achieving that perfect and healthy smile. Dr. Jacob believes in offering the best dental services possible by providing comprehensive dental care for all age groups. It is important for her to educate her patients on the importance of oral health using digital x-rays and intraoral images. She exceeds her required hours of continuing education every year in order to offer her patients the latest and most innovative advances in dentistry. Dr. Jacob prides herself in her work and believes in performing dentistry that lasts while offering an environment that is comfortable and pain free. Born and raised in Texas, you will find Dr. Jacob friendly, kind, and genuine- someone that will always receive you with a smile. Dr. Jacob grew up in Houston then later attended high school in Reno, NV. She graduated from the University of Nevada Las Vegas with her Biology and Chemistry degree before completing her Doctorate of Dental Surgery at Baylor College of Dentistry. In addition, Dr. Jacob obtained a Fellowship in Dental Implantology from the International Dental Implant Association. Dr. Jacob proudly lives right here in Murphy with her husband, three children, and dog Jake and is involved in many church and community organizations in the local area. She is excited to finally fulfill her dream of serving her community by practicing safe, reliable, and comfortable dentistry. Dr. Jacob believes in creating lifelong trusting relationships with her patients and wants you to be a part of her dental family! 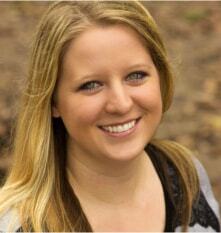 As our Front Office Patient Care Coordinator, Nicole is the first person you’ll meet at Orchid Family Dental. 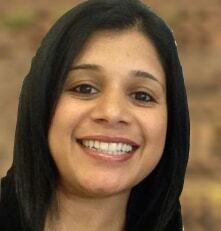 She is a Registered Dental Assistant with many years of dental experience. Nicole is certified in Radiology, Nitrous Oxide and CPR. To stay updated in the field, Nicole is consistently working on Continuing Education courses. She loves to meet new people, and thrives for patient satisfaction. In her spare time, she likes to be outdoors with her daughter, and participates in Susan G. Komen events. She looks forward to meeting you! Gena is our Operations Consultant and is someone Orchid Family Dental has relied on for help in our business organization. She has a Masters degree in Psychology, and comes with many years of administrative, management and leadership experience. 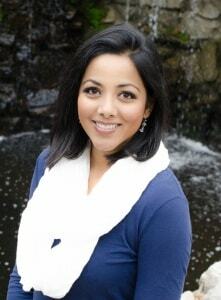 She helps us with day to day operations, interviews, and overall functioning of the dental practice. She looks forward to meeting each one of you, as you become part of the Orchid Family! To provide all of our patients with optimal oral health in an technologically advanced environment that is dedicated to being as relaxing, caring and stress free as possible. We believe that prevention and educating the patient are the keys to making smiles bloom!